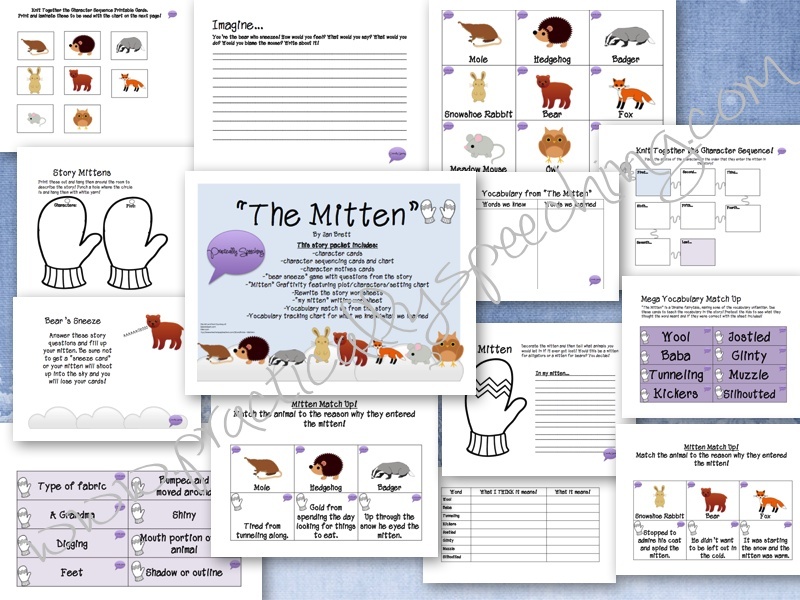 "The Mitten" by Jan Brett - Activity Pack! All children's literature roads lead back to Jan Brett, I'm pretty positive. LOL Here's another wonderful story illustrated and told by Jan Brett about a snow-white mitten, a group of curious animals, and an adventurous boy. This book is filled with beautiful images and great vocabulary. It's an amazing winter book, much like "The Hat" is. 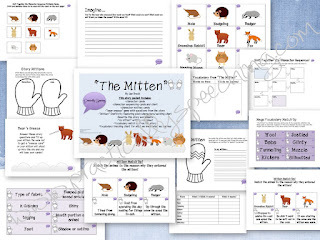 Download this great activity pack HERE!